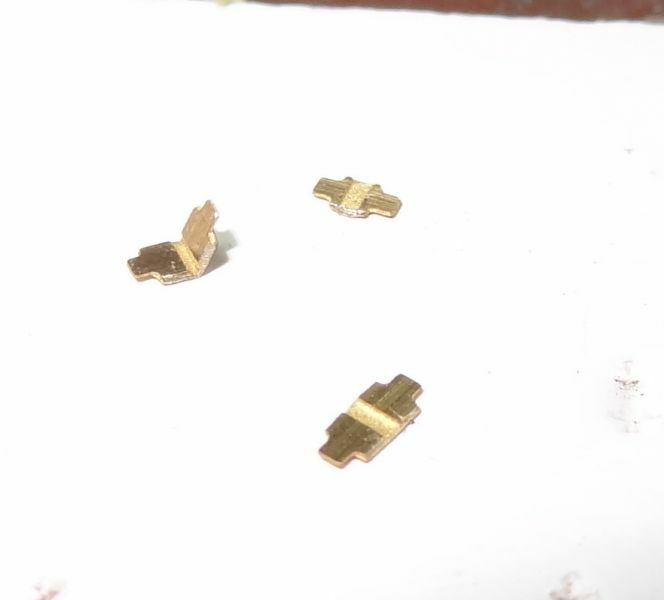 I won these very rare 7mm kits on ebay about 5 years ago and was thinking about selling them on again because of the recent Dapol/lionheart RTR offerings. 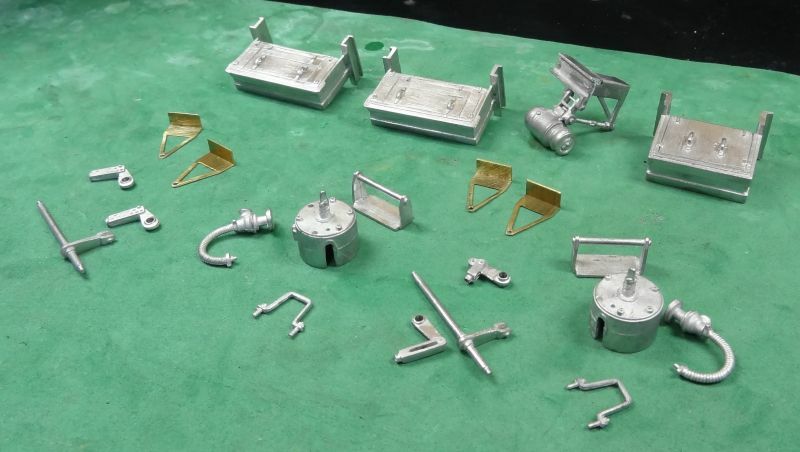 But as granny once told me `never give up on a decent metal kit`.....and I think these are still good kits for their age. And they are complete kits except for paint and lining. The instructions are virtually diagramatical with minimal written instructions so not a great help for an absolute beginner but the kit is broken down into easily achievable units and the parts are well designed. 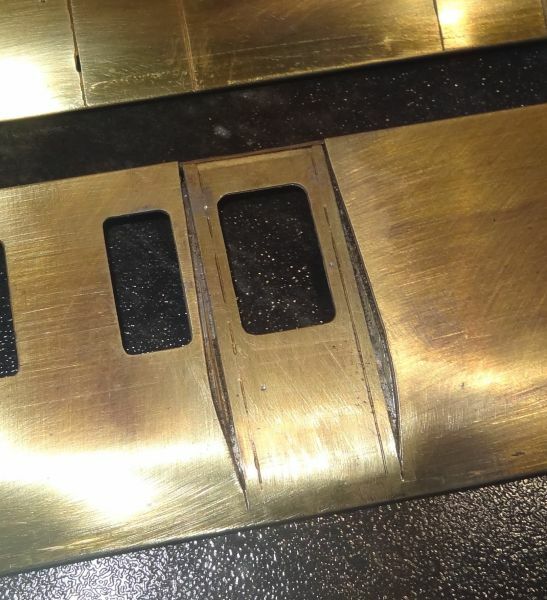 The thick brass sides come ready formed..... yippee ! but I could see that the recessed Guards dorrs would be the most awkward to build.... so I began with these to get them out of the way. Next to assemble was the `recessed` door handles. 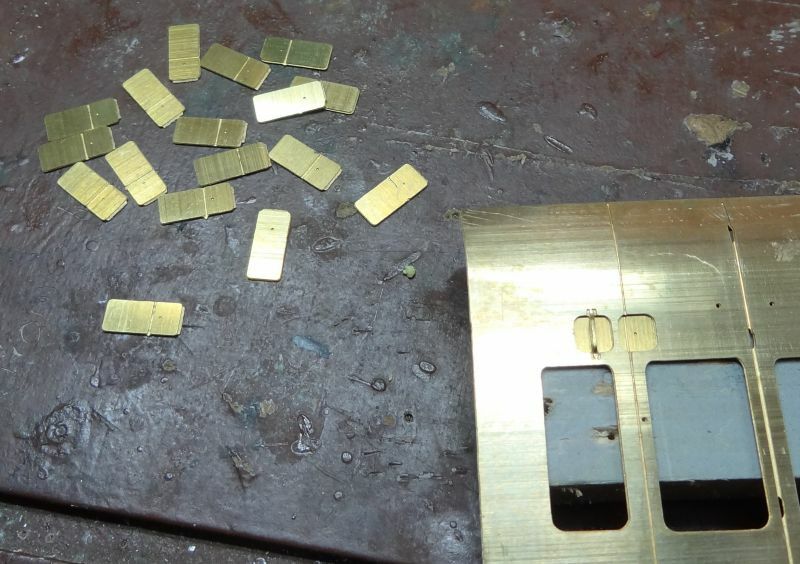 These are etched backplates to be soldered up with plenty of heat to enable the solder to flow evenly. They look excellent so far John. 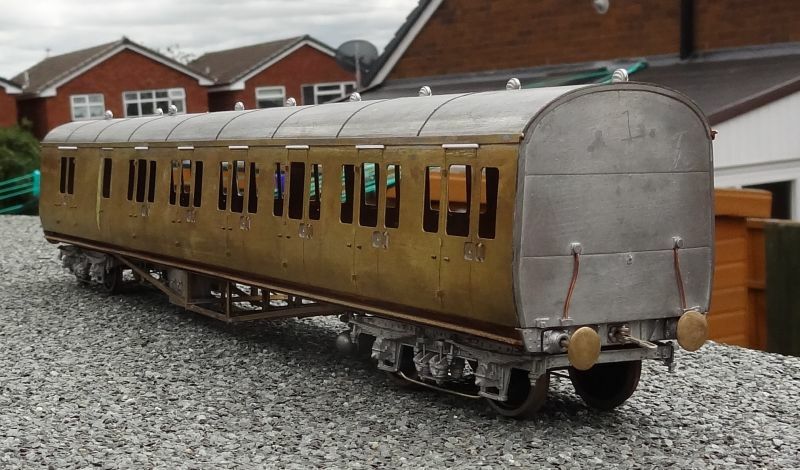 I was recently queried about some RJH Gresley coaches but I couldn't comment because I didn't know that RJH had done any Gresley coaches. 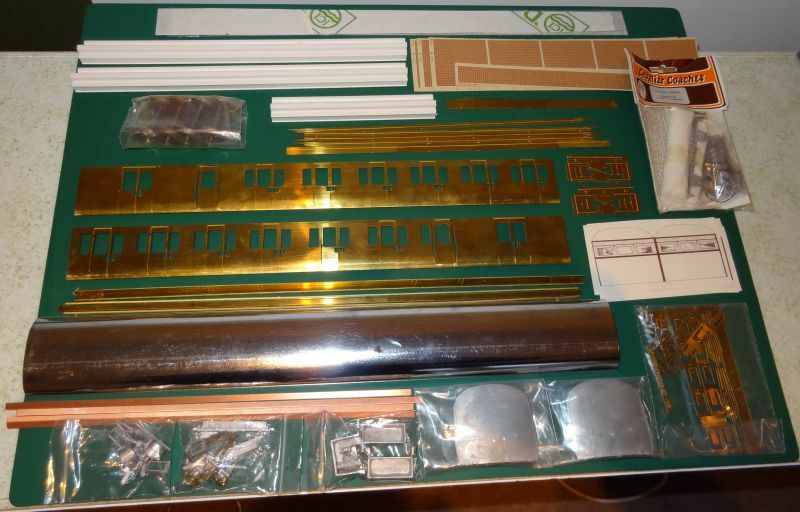 I did`nt know that RJH produced LNER coach kits Bob but they are mentioned in the generic instructions. 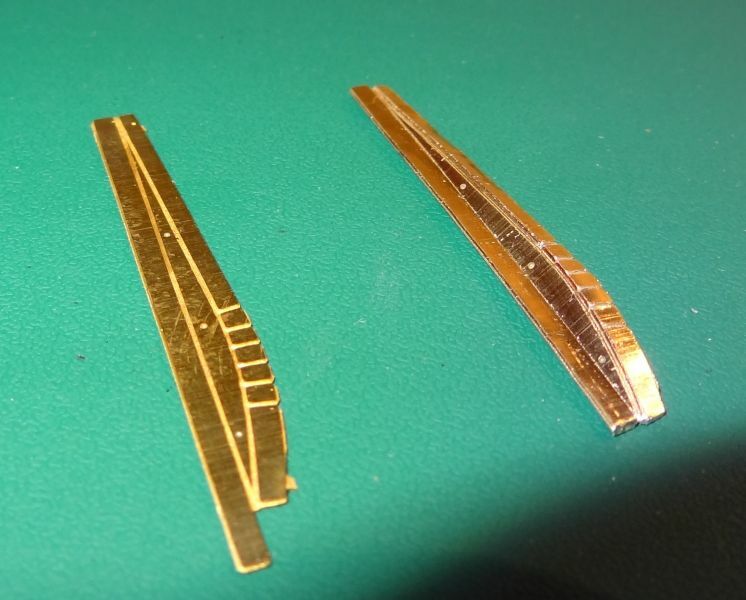 Some time back I purchased some GWR door hinge frets from CPL models and these need a little fettling to fit the pre etched slots in the coach bodywork. 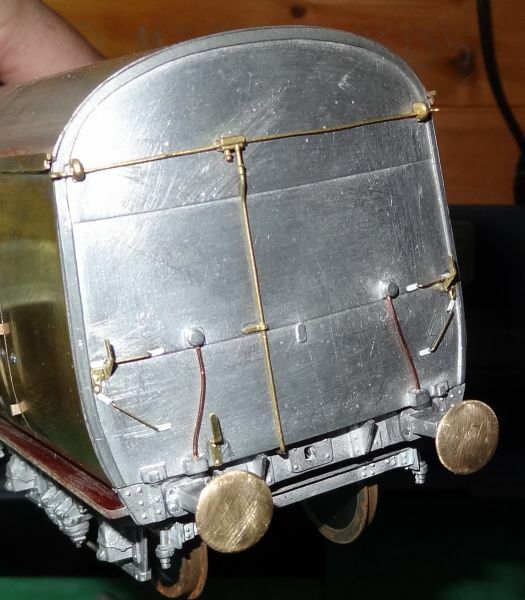 There is more carefull soldering required to assemble the chassis solebar and buffer beams which can be built as a seperate module that is cleverly bolted to the coach end castings with a simple `hardboard` flooring. 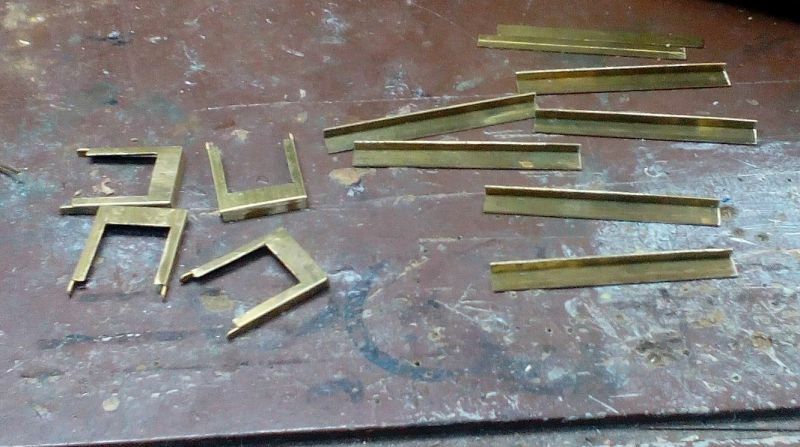 The chassis trussing is an etch that requires folding to shape.... far too difficult for me to get right and so I have replaced with brass angle strip. 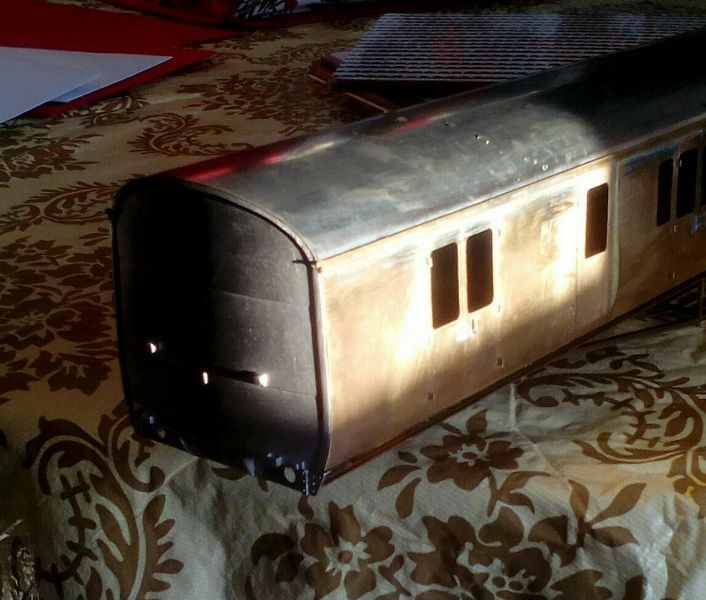 There has been steady but slow progress since completing the Pannier Tank Engine. I have continued to enhance these coach kits with CPL products by moving on to detailing the coach ends. 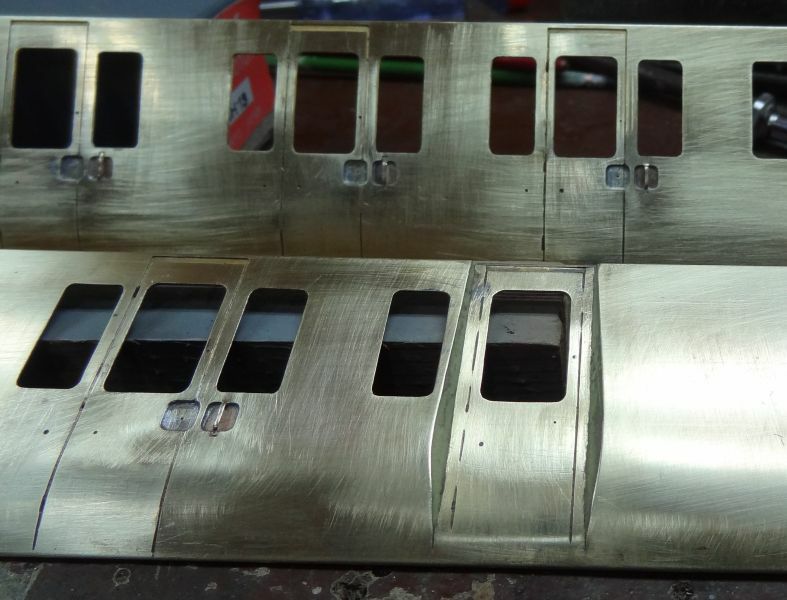 I then got down to preparing the rather nice underframe parts supplied with the kits. 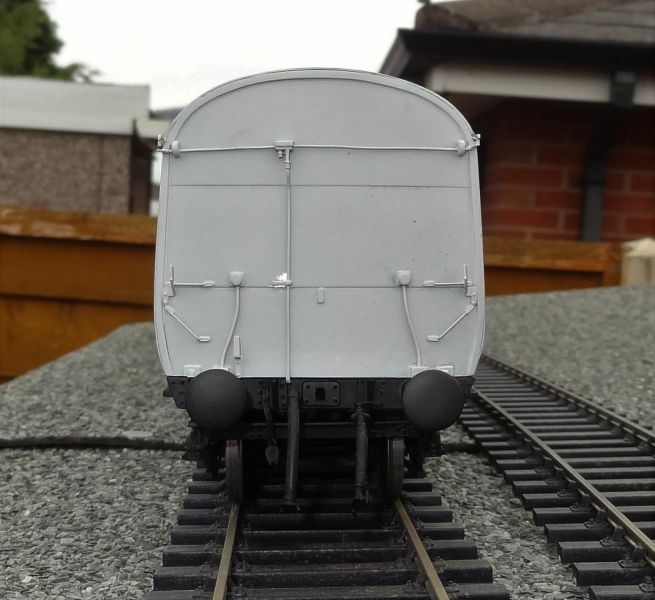 Also, the white metal bogies were assembled and fitted to the underflooring. priming before applying the GWR 1930`s livery. Looks very impressive - great work ! How will you do the glazing - or is it an "al fresco" coach ? 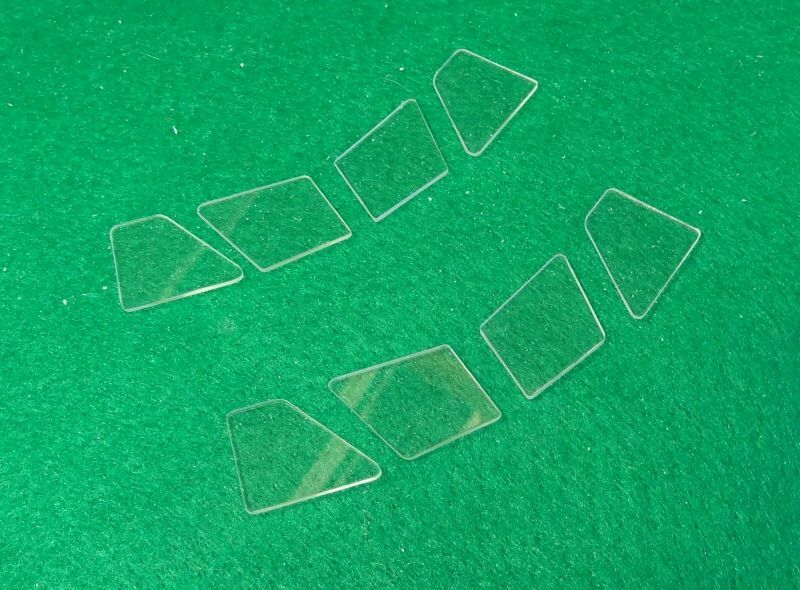 When I get to the glazing stage I will be using Acrylic sheets from Yorkmodels.co.uk . Nice and easy to work with and simple to cut and shape. It has been quite a pleasant task to apply etch primer from Closterman. Both coaches now ready for GWR livery. I recently bought one of these RJH kits ref C-GWC -007 and was absolutely delighted that a frantic Google search for information lead me to your build. First let me say if mine turns out half as well as your two I will be very pleased - they are superb. My kit came without bogies and instructions and I have a couple of questions that you may be able to answer please. From my so far limited research I see that construction covered a number of diagrams with different coach lengths and different bogies. 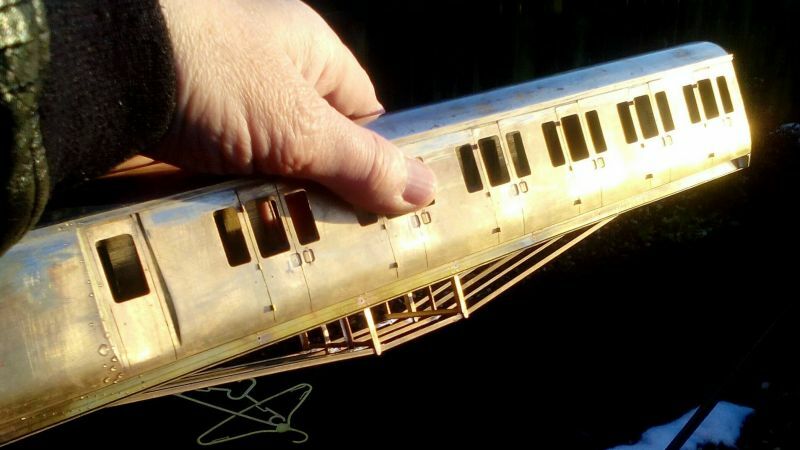 Assuming your kit has the same reference (above) as mine, either from the instructions or from the model, can you tell me the length of the completed body and which bogies were intended. Better still if you can tell me which diagram it represents that would be a real bonus. Having had a quick look at the box contents the kit looks to be of good quality and I look forward to building it when the current queue allows. Dia E140 had the 7` bogies E145 had the 9` bogies no other differences except the grab handle position on the outer ends....GWR.org has got their information wrong. Yes, I have some Carrs 100 degree low melt solder. Since I will be largely following your construction which diagram do yours represent E140 or E145? Mine is the E 140 Terry. I wanted to do an early 1930`s full livery. Fox transfers are the only one`s suitable but try as I may I could`nt get the lining transfers to hold...tried all the various liquids but eventually had to use HMRC Pressfix. They look even better in that livery. Thanks again for the guidance. It will be some time now before I make a start but I will be sure to post progress when I do. Bees knees. Difficult to tell from the photos - are the buffers different lengths at the ends? Yes Nigel..... on B set coaches the centre buffer housings are a shorter version to make a close coupled set. Double bees knees then. One of the (many, many!) Issues with the Hornby B set. As I said, difficult to tell from the photos. I always wondered why given the tight radii on some lines and no gangway twixt the two. Step up from buffing bars though.